My goal and passion is to empower individuals and families to grow in their personal and relational aspects of their lives and/or heal from traumas or other difficult life situations. When people experience severe life stressors, it is not uncommon for their lives to unravel. I want to help with the healing process and help my clients overcome personal obstacles to improve their relationships. 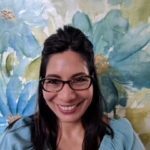 I am an experienced Therapist and Case Manager with a demonstrated history of working with individual and family services in the mental health field. Although influenced by Humanistic and Existential philosophies, I use a wide range of therapeutic modalities, including Adult Psychotherapy, Group Therapy, Adolescent Therapy, Family Therapy, Mindfulness Approaches, Cognitive Behavioral Therapy (CBT), Dialectical Therapy (DBT), Solution Focused Therapy, Motivational Interviewing (MI), and Crisis Intervention. Strong community and social services professional with a MA in Psychology. Graduating in the Fall of 2018 with a PsyD Doctorate of Applied Clinical Psychology focused in Clinical, Counseling and Applied Psychology from The Chicago School of Professional Psychology at Irvine.